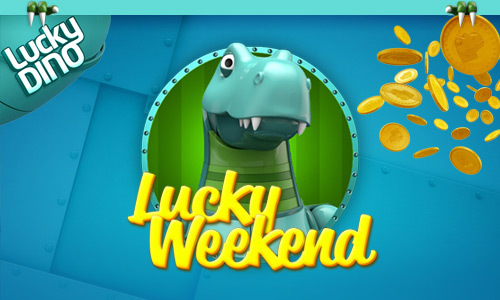 I recently added LuckyDino because this online casino is very popular and trusted, you can read more about this in my earlier post. One of the main reasons this new casino is so popular is the fact that they offer a lot of weekly promotions and free spins. Like for instance this weekend. All players are able to claim a 50% reload bonus up to €200,-. All you have to do is make a deposit and click the box that you accept the bonus. But if you don’t have an account yet, you better claim their first deposit bonus of 100% up to €200,- and their second deposit bonus of 50% up to €200,-. Both these first and second deposit bonuses come with 50 free spins on Big Bang and 50 free spins on Twin Spin. If you happen to make your third deposit this weekend, you are able to claim the weekend reload bonus. At Lucky Dino you can find all games from NetEnt and Microgaming. They also have a very fast payout of only 4 hours. On Monday they are starting another Iron Dino Week, where you are able to claim €250,- in free cash every day of the week.